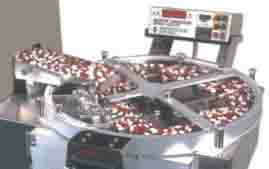 KDC-101 Tablet & Capsule Counter,Capsule Counting Machine. 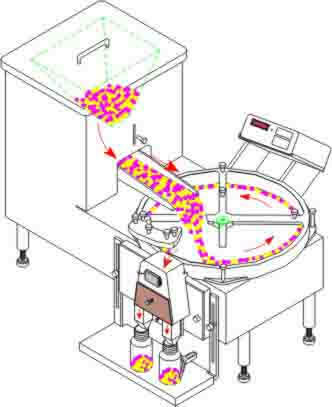 KDC-101, a high speed and efficient batch counter, has been designed and developed to count all shapes of products accurately like capsules, tablets, pills, dragees or similar products. 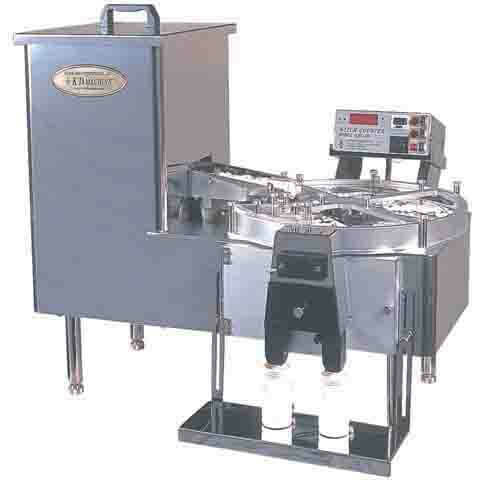 Stainless cabinet, fiberglass hopper, and glass turntable meet cG.M.P.requirements..
Auto count & container feeding machine.